Times – 8.30am – 12.30pm. In 2015, most of what you know as the traditional rules of SEO will be obsolete. They have been progressively replaced with new rules based on “semantic” or intent-based search. Effective SEO execution requires you to align your content to the search intentions of your targeted persona(s) – not just target “keywords”. This is a complete rewrite of the book of SEO. 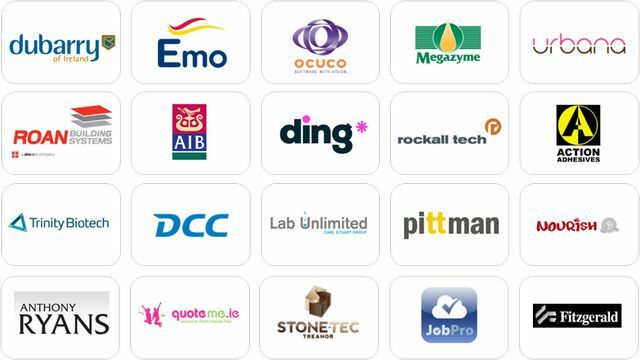 Recent participants on this programme include: . To build SEO competency from beginner through to an advanced level – sufficient to effectively engage real-world SEO challenges. To recognise SEO competency at SEO practitioner level with direct certification. Despite the fact that SEO is widely recognised as the single biggest of all the digital channels, it is such a fast moving subject that few organisations anywhere in the world have been brave enough to accredit a specialist SEO qualification. Nevertheless, as you will see, it is entirely feasible to plug-in to and keep up-to-date with major SEO changes as they evolve and this SEO Certificate course will equip you not only with best current SEO practice but with a process that will get you up-to-date and keep you there without veering off-track via the many side-tracks that are out there! The workshops span the entire SEO competency spectrum from beginner to advanced and take place over four mornings over four consecutive weeks. Each module covers several key specialist areas of SEO. The intent of the workshop programme is to build SEO competency in real-world search engine optimisation environments. 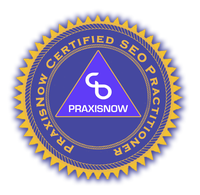 There is no recognised SEO certification body, so for those who complete all 4 workshops, followed by successfully completing a challenging SEO assignment, PraxisNow will directly certify individuals as having successfully completed the programme. By completing this form, you are registering for the next SEO Practitioner training programme. Please enter a full invoice address and PO number if applicable. If you would like to pay by direct transfer, please include invoicing details here. Please answer the above sum to confirm that you are human! Thank you. Any level of SEO ability from beginner to advanced will benefit from the programme. The advanced ideas of semantic alignment of content, the role of SEO in content marketing and other ideas will be covered. Several disciplines including marketing, business, sales and IT have attended thus far.